BUY ITRoll & Hills Agnes Chandelier Replica: Monochrome networks of spangling LEDs create dining with a difference. Hang this replica above a black or white table, for a chandelier that ties together all the elements. 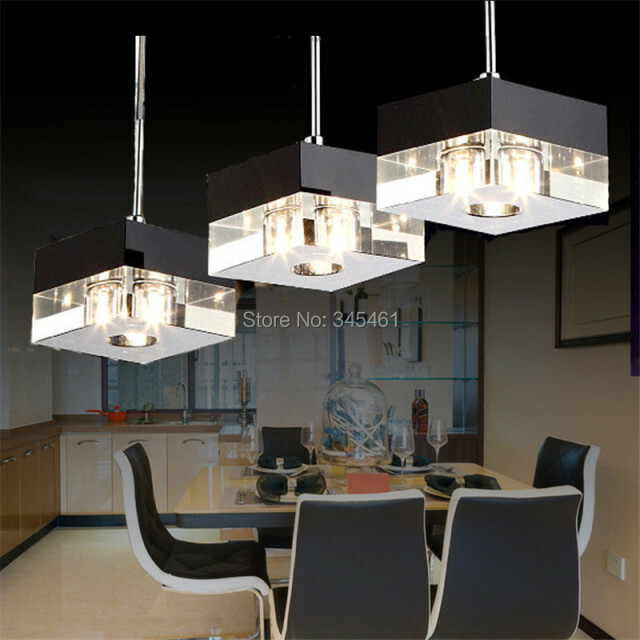 BUY ITAriana LED Pendant Light: Bring the wind chime to your dining table. These painted grey LEDs chime in unison, for an easy-to-achieve contemporary look at home. BUY ITBeat Lights: Shape your beat pendants your way – in an upside-down trumpet, sand timer or classical vase. These white-painted beauties appear unified above a dining table side by side. BUY ITCastle Concrete Pendant: Concrete isn’t the first material to come to mind for your dining room lampshade. These industrial domes work both indoors and outdoors with their water-resistant surface. BUY ITCarmina Pendant: Receive your dining room light in one flat package. Its polycarbonate and eco-friendly polypropylene design will whip your dinner guests up in a frenzy. BUY ITClava Dine Pendant: Reflect light horizontally through your dining and kitchen area. This aluminium pendant looks space age and behaves it, too. BUY ITBeat Pendant Replica: Beat pendants always steal the show in a kitchen or dining room. This copper-interior pendant is no exception, and charges only a fraction of the price of the original. BUY ITLyrique 6-Light Chandelier: Tungsten bulb-ended rods form a fixture you can adjust at your own pace. Get just the right angle with its gold-painted metal twisting and turning on axes. BUY ITLarmes Mini Low Volt Round Pendant: Polished chrome sparkles in these low-voltage finds. 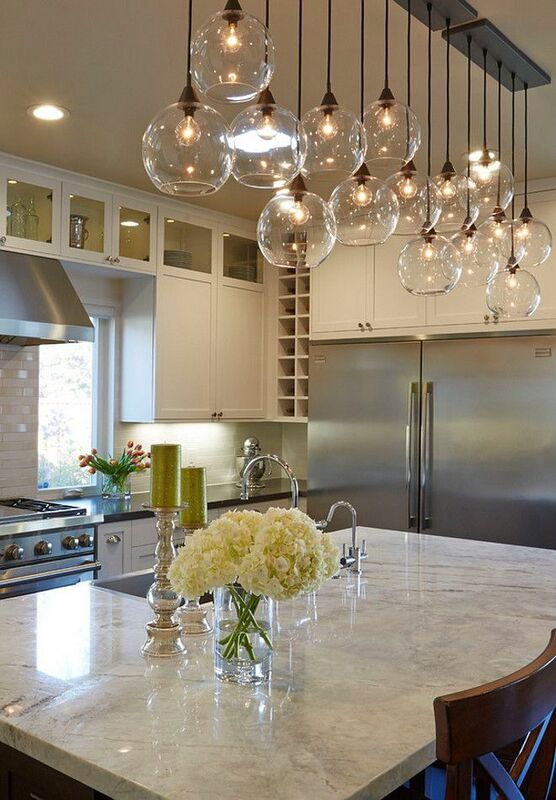 Cluster them beside your kitchen wine glasses for a magical lighting effect. BUY ITSmithfield Pendant Replica: Add a simple dome high up above your table setting. These aluminium and polycarbonate lights come in two colour replicas of the famed original. BUY ITCopper & Wood Finish Pendants: Continue the industrial look with these large pendants above your kitchen table. Wood and copper work together to shed light through tiny perforations. BUY ITVolta LED Pendant: Go for a structure that the neighbours won’t be boasting. This aluminium bow design doubles over itself to shed light across the table. BUY ITPiper Dining Pendant: Suspend these metal cylinders as low as they can go, with six feet of suspension cable. BUY ITGrain Pendant: Bamboo fibres and polypropylene are the unusual materials behind these Scandinavian fixtures. Colour them in teal or six other pastel shades for a low-key partner to your kitchen bench. BUY ITCaviar Pendant: Glass and steel with a brown nickel finish make these unusual bulbs glow with fury. Hang them as a trio above a wooden surface, for a simple lighting fixture with a twist. BUY ITUnder The Bell Pendant: A surprising and innovative find lies in this recycled PET polymer light. Designed to keep your conversations ‘under the bell’, it focuses light and sound to help the quieter ones be heard again. BUY ITCopper Globe Pendant: Know a rose-gold lover who reads a bit of sci-fi? These globes are plated copper on the outside, chrome on the inside for a luxurious and intergalactic dining room approach. BUY ITUnfold Pendant: Look like they’re made of silicone rubber? We didn’t think so either. These multi-coloured finds inject a modernist edge into the most simple of dining room environments. BUY ITDome One Pendant Light: Painted bronze on the inside and black on the outside, these large domes keep those seated at the table bathed in golden light. House their LED forms in pairs, or as the central feature of a small table. BUY ITPanton VP6: Focus your dome’s rays with the Panton VP6. Their aluminium exteriors and copper inners light up the best parts of your favourite dinners. BUY ITVibia Slim Pendant Replica: Lost hope in the search for the thinnest kitchen light? Look no further than these blink-and-you-miss-them classy kitchen fixtures. BUY ITSecto Pendant: Designed by Seppo Koho and hand crafted in Finland, this understated design draws people into conversation. Choose from birch, walnut, black or white for your meal time finish. BUY ITHeracleum II Replica: Designed to look like a flower, this light literally blooms out with bursts of bulbs. A white table against a darker wall best illustrates its beauty. 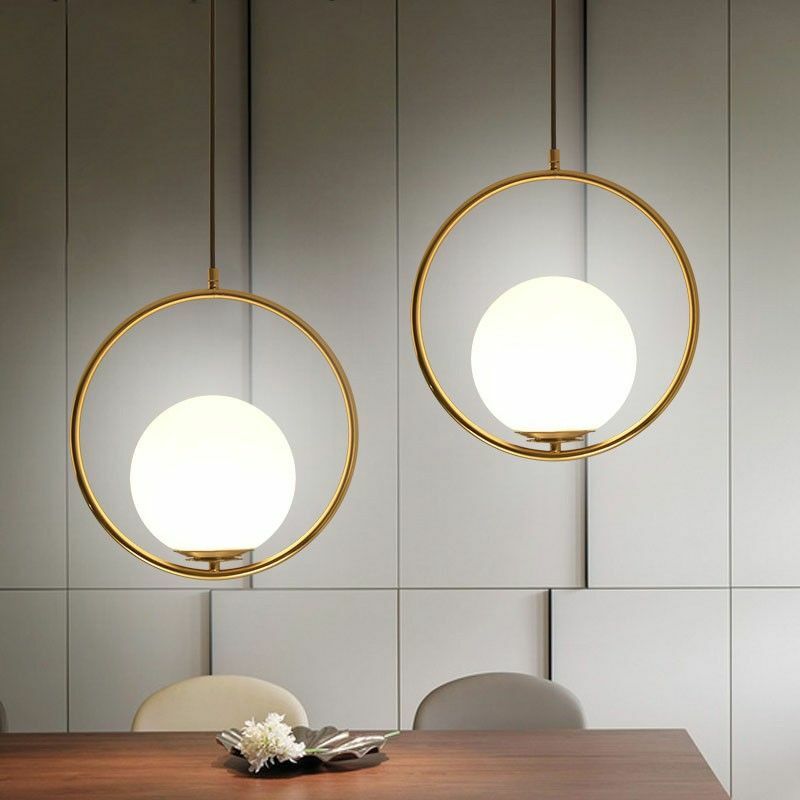 BUY ITCala Pendant: Also available in flush mount, this black and white hollowed circle is a minimalist’s dream. Hang its convex diffuser above a simply-coloured setting to focus on the food. BUY ITOcto Pendant 4240 Replica: Natural birch wood forms a cocoon in this inspiring fixture. Pop it above a wooden table and afront white walls for ultimate lightness and brightness. BUY ITSix Light Piping Chandelier: For those after a trace of steampunk, this metal piping chandelier is the find for you. Suspended from a metal chain, its an interesting addition to industrial style lighting. 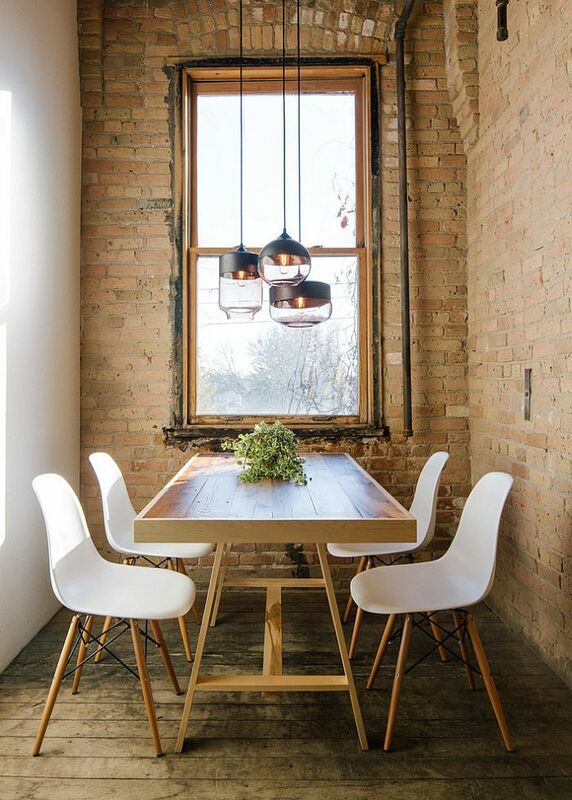 BUY ITMoon Scraplight Pendant: Cardboard looks sophisticated in these moon-shaped domes. 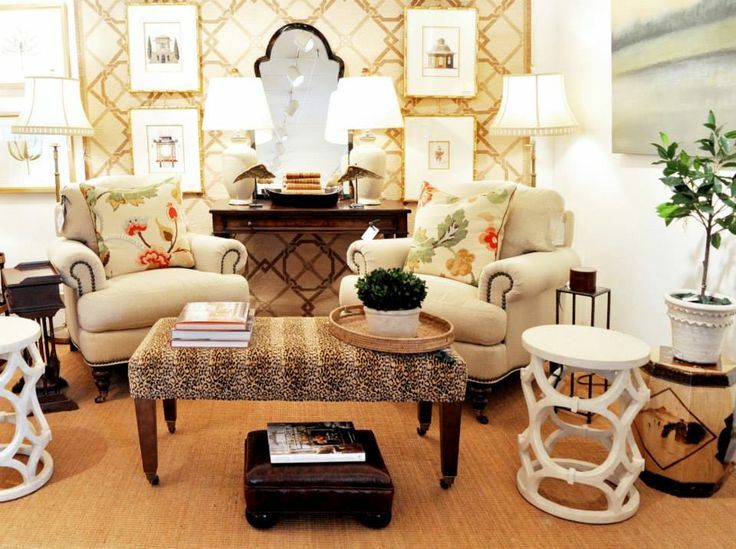 Hang their intricately-cut forms over a wooden or brown-hued table for the ‘can’t be cardboard’ effect. BUY ITE27 Socket Pendant: Fill your room with idea bulbs, with these glass and silicone socket creations. 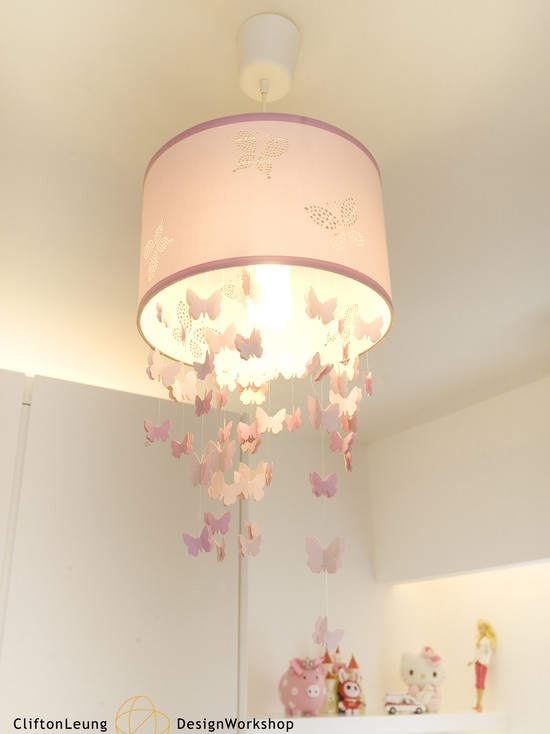 Available in a range of colours, let them stir up the light above your dining room table. BUY ITAmbit Pendant: Hand-painted aluminium sheds light on your table without too much brightness. Pick sheer pink or four other pastel shades, for a dreamy interior that packs a punch. BUY ITRandom Light Replica: Captivate your dinner table audience with your own spider web. Three colour choices and a one year manufacturer’s warranty make this replica of an original hard to ignore. BUY ITRonde Pendant: Inject masculinity into your dining room, with Oliver Schick’s debut design. 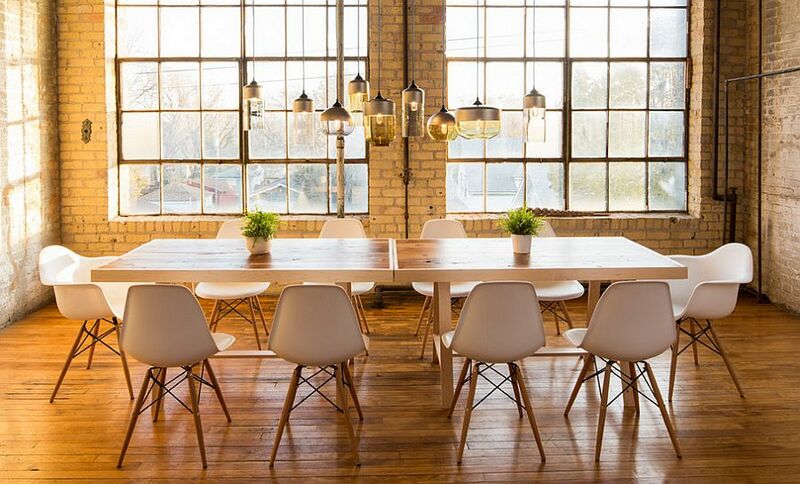 These aluminium bells flood light across their table from their white interiors. BUY ITCaravaggio P4 Pendant Replica: Dangle a pendant from your ceiling to draw guests to the dinner table. This stunning replica based on the original subtly and stylishly marks the eating place. BUY ITEverly Glass Pendant: A bronze glaze brings a hint of the olden to these vase-shaped pendants. Use their bulbous glass forms to inject subtle design interest. BUY ITAplomb Suspension Lamp Replica: The art deco dining room would be a perfect fit for these fluted greys. Hung from near invisible strings, their matte surface evokes a contemporary feel in an everyday fixture. BUY ITVertigo Pendant: Get caught in a twister with this metal, iron and fiber glass-shaded find. Its vertical storm is a stunning display for an open kitchen and dining area. BUY ITIntergalactic Ceiling Light: Metal slats assemble a kaleidoscope in this white light. Hang it beside white curtains for a dreamy vibe reminiscent of the East. If you are planning to go for an astronomy or space theme, do check out our post: 50 Space-Themed Home Decor Accessories To Satiate Your Inner Astronomy Geek. BUY ITCorona Pendant: Metal and an acrylic frosted shade mimic the ring of plasma that surrounds the sun. This light thinks outside the box and into your monochromatic kitchen. BUY ITLinear Suspension Light: Vertical in form and innovative in nature, this rolled metal creation has a few tricks up its sleeve. Coated in rubber, a hidden LED beams through its panels for a light that seems otherworldly. BUY ITAim Multi-Light Pendant: Black and white camera lights add a touch of drama to a room. This multi-light pendant combines three in one, with a monochrome design draped around different corners. BUY ITPH5 Pendant Replica: A replica of the original worth $848, these multi-tiered pendant lights mimic the beauty of the fuschia. Hang them above a bouquet of flowers for a simply stunning way to light a table.